When I met Heidi and Brendan they were ready to take Today's Homes into the future. Brendan's father Peter was looking to take a back seat. Heidi and Brendan wanted Today's Homes brand to be updated to reflect what they thought it should be moving forward. Through a process of workshops, research and insight we learnt more about the true value of Today's Homes. We set about moving the Today's Homes brand to a fresh new and relevant building company that reflected the reason customers keep choosing them. The essence was discovered and called "Buildcare". This process is second to none in the building game. This marketing journey was able to position Today's Homes so that it reflected it's true value to customers and employees. 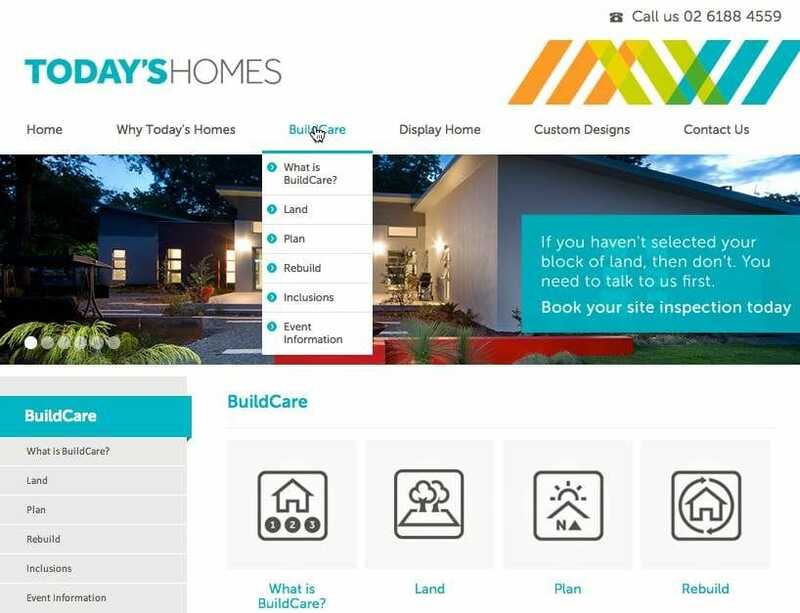 Now Today's Homes has a new identity, website and strategic marketing approach that has them moving into a new growth category for builders in Canberra.